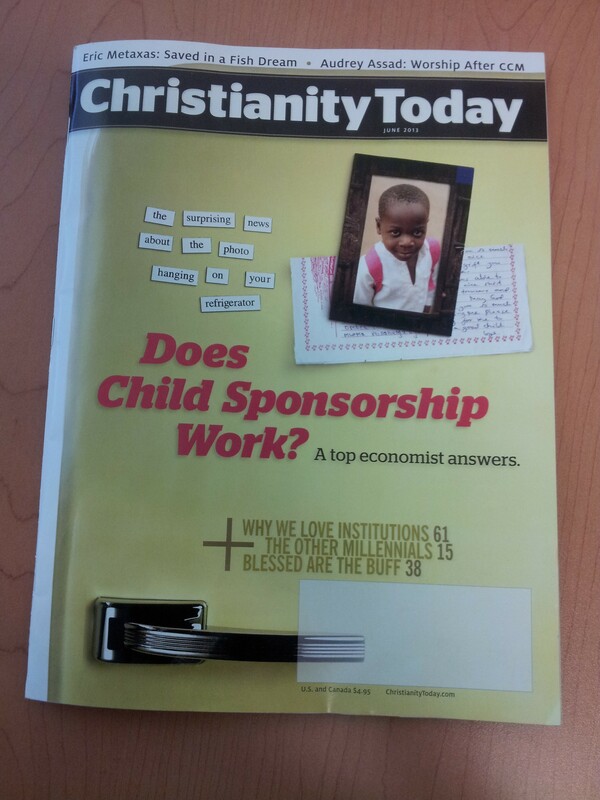 That’s why I was so pleased to see that Christianity Today magazine devoted a large portion of their June 2013 issue to asking if child sponsorship really makes an impact in efforts to overcome poverty globally. While Christianity Today is implicitly supportive of many Christian organizations, they approached this subject as good journalists do, with an attempt to be as unbiased as possible. And their lead article was actually based on a study that was published in the scholarly Journal of Political Economy. 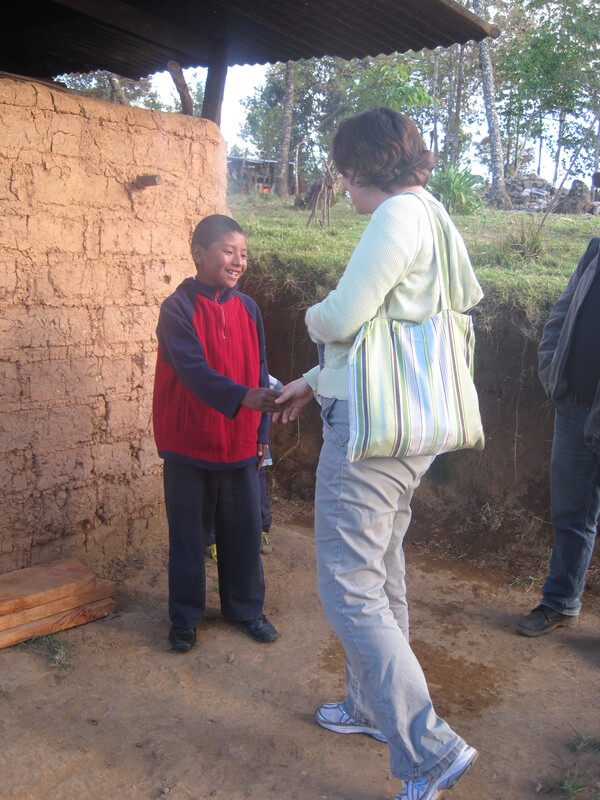 Greeting Cristian in the spot where he had waited for us. Remember the letters I eventually wrote? He was holding them. And I was holding the letters he wrote me. We sat and talked as a group (read translators involved). All of the information he had shared with me in letters was reiterated by his mom—his ear infections, his good behavior at school, his dad’s job as a police officer. Then I asked if I could take a picture with the family and they obliged. But before we wrapped up, Cristian wouldn’t let me get away without having a photo of just me and him. I’ve posted it. See his head leaning against mine? That’s ALL him. 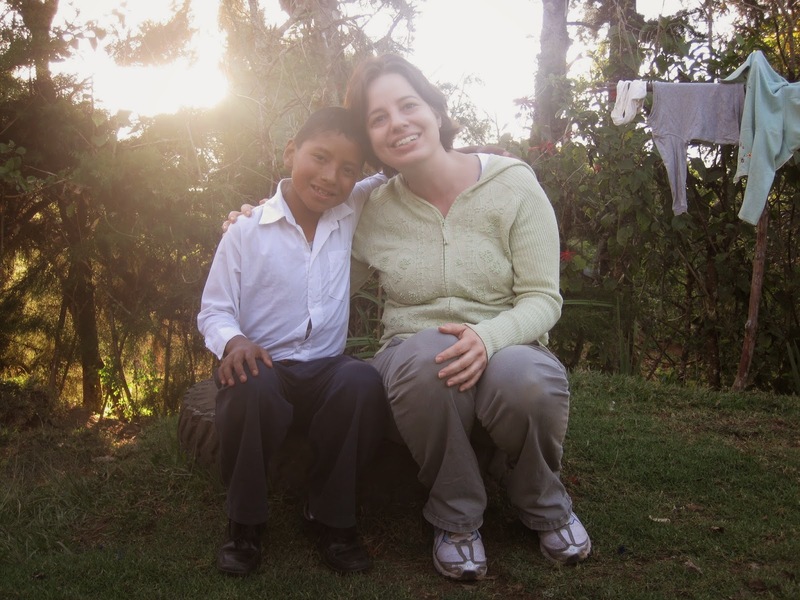 He knew I was his sponsor and I think it still means more than I know or can understand. Now two years later, I am still writing and supporting Cristian. I imagine him growing up to reach his God-given potential. I know that the Lord was at work in Cristian’s life, family and community before I showed up to sponsor him—and He will continue that good work after Cristian grows too old to be sponsored. 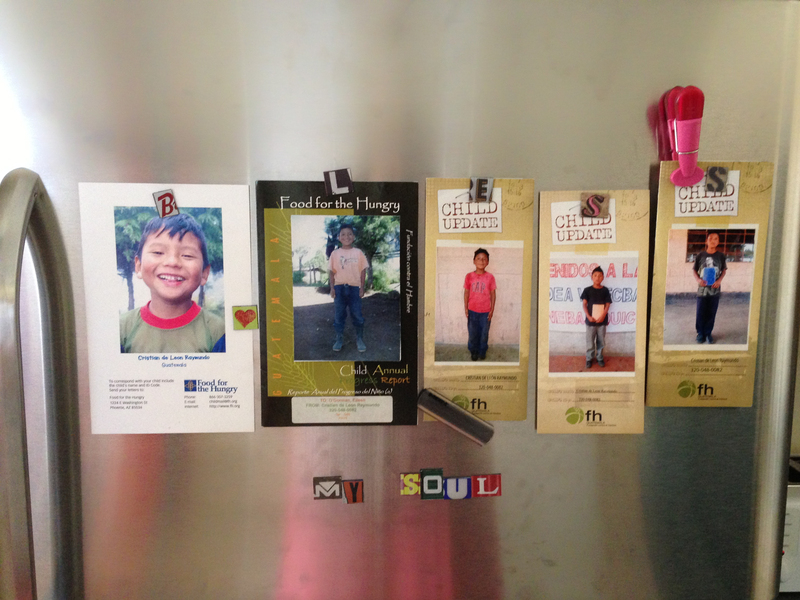 And right now I trust that the Lord is using my involvement in Cristian’s life in a significant way that could impact him well beyond what I will ever know or imagine.